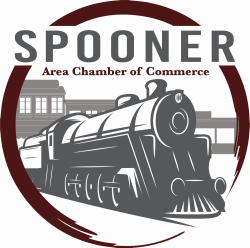 The Spooner Area Chamber of Commerce would like to communicate the successes, current projects, as well as some of the projects and activities the chamber is involved with that are often overlooked. In today’s tough economic times, a Chamber Membership is one of the best dollar-for-dollar marketing expenses you have can spend, and we look forward to serving you. Listed below are some of our recent highlights as some supplemental information you may find helpful or at least interesting. 2017 proved to be another successful year for the Spooner Area Chamber. Along with increased membership we also experienced growth in our many festivals and events. We’ve had several new businesses join the Spooner Chamber including: Round Man Brewing, First Class Construction, HookSwan Law Firm, an Northwest Connection Family Resources. Be sure to welcome them!! In January 2016, with the help of Beverly Stencel from UW-Extension, we held a strategic planning session. The purpose of this planning session was to step back and to see what we are doing, why we are doing it, and if we should continue doing the things we are doing. We recognize the process of strategic planning is on going. Throughout the course of 2017, we will continue to look at our organizational structure, the various events, and committees. We will continue to evaluate ourselves with our members’ best interests in mind. Several members of the Executive Board are also active in other areas of the community. This has helped our Chamber connect and synergize with other community groups including Washburn County Tourism, Leadership Washburn County, Wisconsin Canoe Heritage Museum, Business Improvement District, City Council, Washburn County Economic Development Corporation, UW Extension, Spooner School District and School Board. The following are some highlights from 2017. Membership Growth – Membership continues to grow. Today, we have more than 190 chamber members while retaining over 90% of existing members. Website/Social Media - Our websites include www.spoonerchamber.org www.jackpinesavagedays.com www.spoonerzombierun.com and www.savagedash.com. We also manage social media sites including Face book, Twitter, Instagram, LinkedIn, and many others. These website and social media platforms have been great tools for communicating to our Chamber Members and have allowed us to individually connect with tourists, visitors, local businesses, and community members on a very personal level. As we move into the mobile and social media generation we will continue to upgrade and expand our communication strategies. We also provide a monthly E- newsletter that is sent out to over 1,000 people as well as weekly Email Blasts promoting upcoming events. Food & Wine Tasting – Last year’s event was another great fundraising success! Washburn County Area Humane Society, Friends Into Spooner Hatchery and Embrace Services were last year’s recipients of over $7,500. This event continues to be a huge asset for the Chamber as well as for many local non profit beneficiaries. Jack O’ Lantern Festival – This year’s event was a success. We had some rough looking weather forecasted, but we were able to avoid a major storm and 100’s of families enjoyed the day and evening. “The Zombie Run” was another great evening event along with live music, bonfires and Brewfest. Chamber Dollar Purchase and Use – Chamber Dollars continue to be a very popular prize, gift, and award for many businesses. Over $20,000 in chamber dollars are purchased every year and redeemed by local chamber businesses. This is our way of helping create a “Shop Local” campaign and to support local Chamber Businesses. Tourism Marketing - This important activity is one that is often overlooked as a Chamber function. The Chamber spends over $20,000 annually on tourism marketing including website, online banner ads, Discover Wisconsin Videos, Billboards, as well as many other print media publications. “Yearly Package Price” Available before January 31st, 2018. Pay a one-time fee for the year. This is an option for Chamber members that are looking to pay for membership, advertising, and event sponsorships once a year versus getting billed for each portion separately.